We provide you with scenarios so you can choose between. 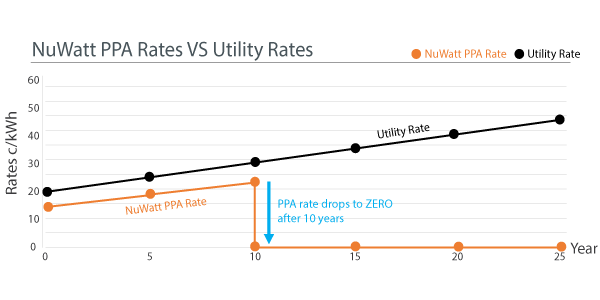 10-year or 20-year term PPA. 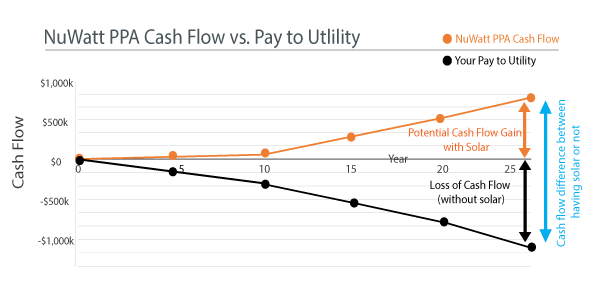 Save on your energy costs for ten years. Year 11, you get the system for $1 and your energy is free afterwords. Our short-term PPA rates and annual escalators are competitive with competitors’ 20-year PPA’s. Free energy after 10 years with no strings attached! 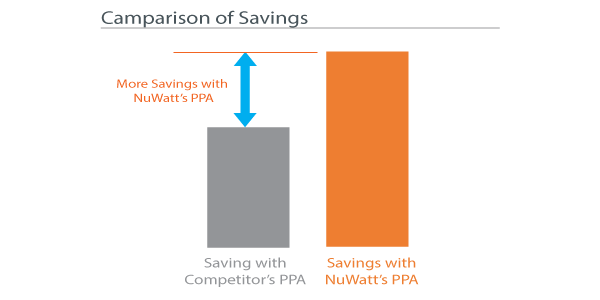 Imagine what you could save vs. what you could have paid to utility with NO UPFRONT cost. 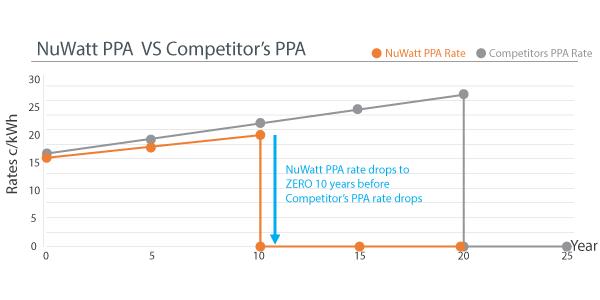 Our PPA is 10 years shorter than competitors' Get energy independence faster!